Two variations of this piece exist. 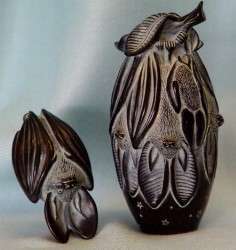 In addition to the ebony version, there is an ivory version. 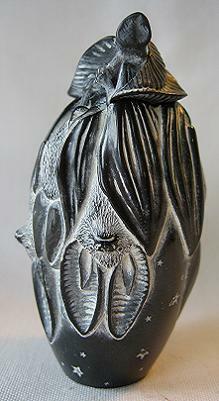 Photographs of the ebony Bat Palm Charm are included in the Palm Charm section of this website.